The contours of Smart Environment Governance and Community Management for Smart City are presented in the first chapter. The management of environmental resources which is largely common property call for strengthening smart community capabilities for environment resources management by designing a system and protocol for environment resources management as appropriate and consistent with environmental governance of a smart city. The environment is made itself smart to be self-aware by using IOTs and ICTs and E-Governance tools based on existing environmental legislation and E-Democratic management practices are applied for environment resource management by the smart community to intervene 24 h and 7 days a week. The required directive principles of Environmental Democracy are presented side by side with faith-based approach. This approach requires a well-trained smart community with continuing environmental education and competence to meet environmental challenges which is one of six components of the smart city system. Since humans are one component of Environment and integrated, the smart living that conserves environment is the answer to the smart environment. An integrated global cooperation which considers the environment as shared common resource shall complement this effort. Religious practice is a way of life which in turn leads to a smart environment through smart living. The community shall be guided by their own Faith which is a way of life that considers environment having a distinct interface of deep ecology and religion (whether it is Hinduism, Buddhism, Judaism, Christianity or Islam and so on). 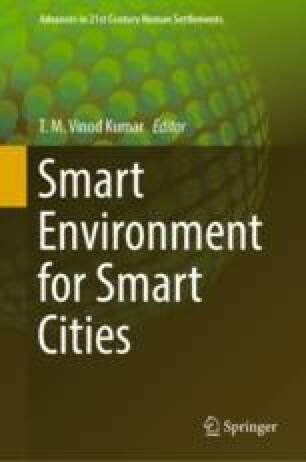 This chapter describes an integrated approach to smart environment for smart city, and scientific, and religious faith based, as well as the deep ecology-based interface for environment governance and management. The cultural system underlying the Vedic and Buddhist religion which is in practice in several Asian countries as examples are presented which can further strengthen the Smart Environment for Smart City approach through faith based smart living.